It is a New Year, and we are feeling as fresh as some of the kitchens we’re seeing this season. 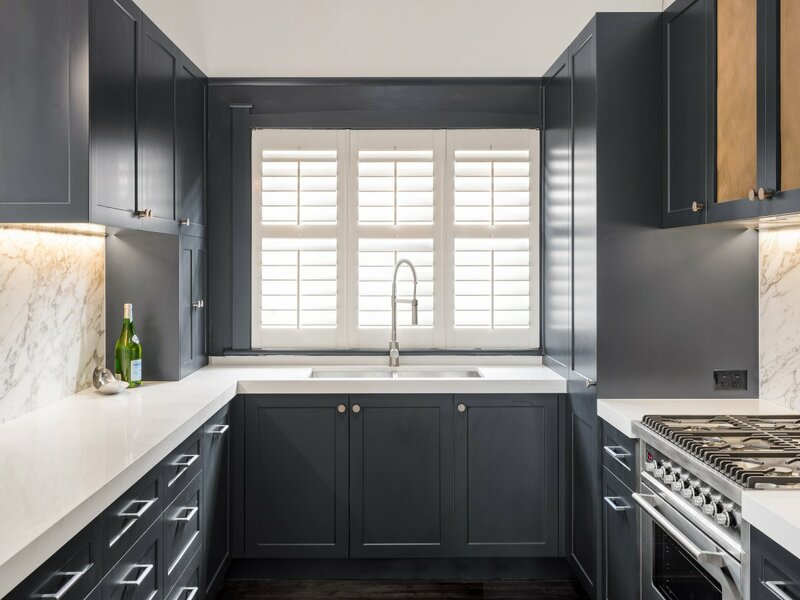 For a quick recap on 2018 we saw everything from stunning two-toned cabinetry to cleverly concealed kitchen range hoods. 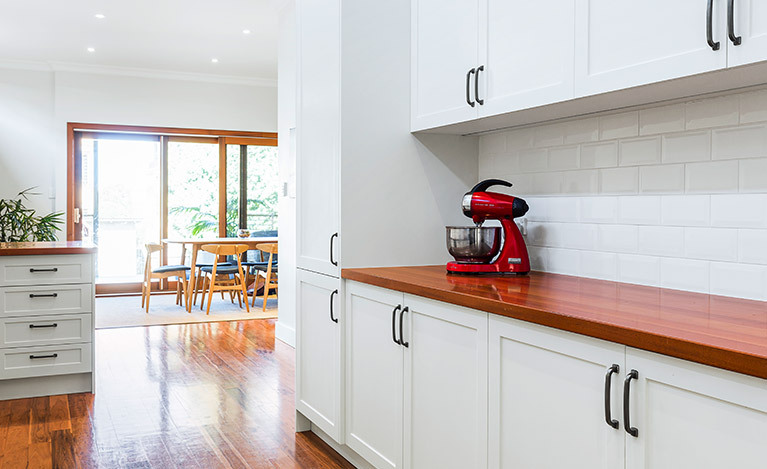 Whether you’re ready for a whole overhaul or a mini-makeover, 2019 is already laying out some drool-worthy kitchen trends. We hope this month's B&C Journal helps you better select which kitchen design trends to incorporate into your next kitchen renovation. Enjoy! Every design show in 2018 was dripping in tech savvy updates, and the trend is set to flow heavily into 2019. Digital technology will push the envelope when it comes to giving homeowners more specific kitchen home appliances targeted to their tastes and bringing the future to today. We’re talking about substituting wine fridges in lieu of restaurant-quality single pour preservation systems and Wi-Fi enabled espresso makers that can prepare your morning cappuccino while you have a sleep-in (assuming you don’t have kids!). People want earthy kitchens, and earthy they’ll be getting! With everything from leather drawer pulls to wooden benchtops, the rustic look is headed back around. People are set to make a bold step away from the traditional polished chrome and nickel knob and pull, to kitchen hardware that has a little more warmth and depth to it. Used in moderation, it can add warmth and charm to any kitchen renovation. Yes, the trend isn’t going to stay in 2018. We will continue to see integrated appliances in kitchen renovations. We have hoods that are slim and turn on automatically that are stronger than some of the industrial ones we have seen in the past. Induction cooktops are also continuing to grow in popularly due to their streamlined looks and easy to clean charm. 2019 isn’t about showing off, it is about hiding away, for a kitchen renovation with understated luxury. While we all know the appeal of a timeless clean white kitchen, there are plenty of fantastic alternatives to take in for a more rich and invigorating look. Colours like Hunter Green and Matte Black are hitting back, and we’re not upset about it. If you still want to keep things clean for your next kitchen renovation, feel free to throw in some two-toned cabinetry, bringing in some whites to add drama to your darker tones. You can’t walk through a kitchen showroom this year without being smacked with the reality that matte is back. Or maybe it never really left? Matte is attractive and ultimately much easier to keep clean, plus its certain to not go out of style anytime soon thanks to its forever-cool allure. Matte cabinets go well with complement any textured finish, from marble to timber grain. Gone are the days of leaving sink selection to the last minute due to the lack of good options. 2019 is seeing some sleek kitchen designs that are also practical. Many of the covered sinks are great for cleverly adding more kitchen prep and counter space instantly, sliding covered sinks have the added benefit of concealing a sink full of dishes waiting to be cleaned. It’s an Aussie favourite and it is taking on a whole new lease of luxury for 2019. Hamptons style kitchen kitchen renovations this year will feature lush textures and mixed hues. We’re not talking bright blues and white washed floors, we are heading to a more modern Hamptons feel. Team matte whites and greys with bold rattan pendants and rustic woods for the ultimate calming kitchen space. Still unsure about which trends are the best fit for your home? Leave it to the experts at Balnei & Colina. For more information about our kitchen design services or to book a design consultation, call 1300 450 320 or drop us an email. If you’re looking for further inspiration and ideas for your kitchen renovation, signup to our newsletter or connect with us on Instagram and Facebook to stay up to date with the latest design trends.